Fascinating texts written on small gold tablets that were deposited in graves provide a unique source of information about what some Greeks and Romans believed regarding the fate that awaited them after death, and how they could influence it. 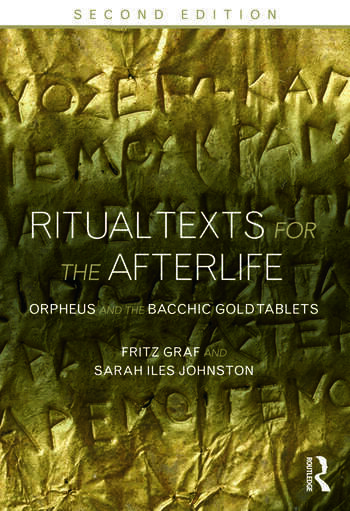 These texts, dating from the late fifth century BCE to the second century CE, have been part of the scholarly debate on ancient afterlife beliefs since the end of the nineteenth century. Recent finds and analysis of the texts have reshaped our understanding of their purpose and of the perceived afterlife. The tablets belonged to those who had been initiated into the mysteries of Dionysus Bacchius and relied heavily upon myths narrated in poems ascribed to the mythical singer Orpheus. After providing the Greek text and a translation of all the available tablets, the authors analyze their role in the mysteries of Dionysus, and present an outline of the myths concerning the origins of humanity and of the sacred texts that the Greeks ascribed to Orpheus. Related ancient texts are also appended in English translations. Providing the first book-length edition and discussion of these enigmatic texts in English, and their first English translation, this book is essential to the study of ancient Greek religion.